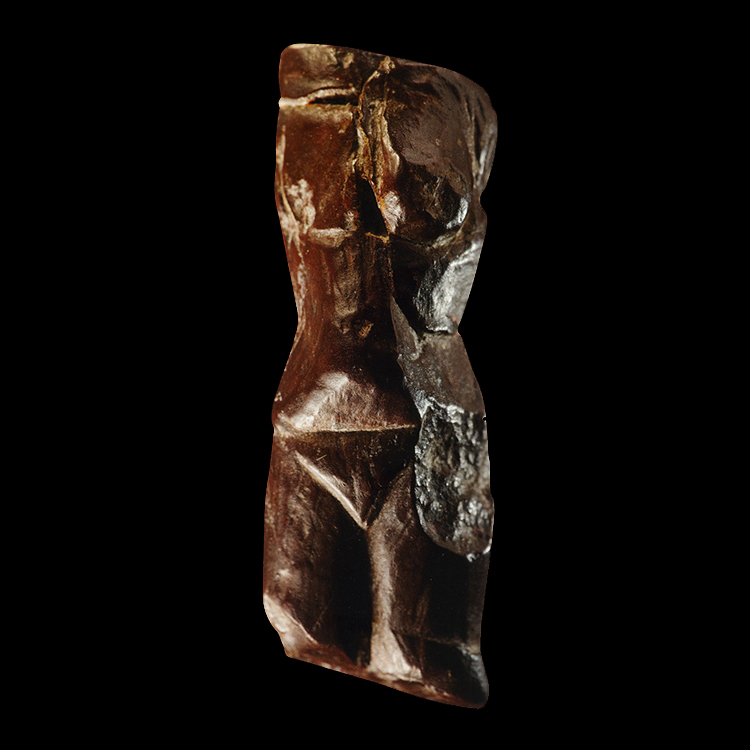 Sculpted from haematite and found under a mammoth tooth in a pit cutting through the floor of an oval house, this female figure was deliberately carved to represent just the body without head or limbs. 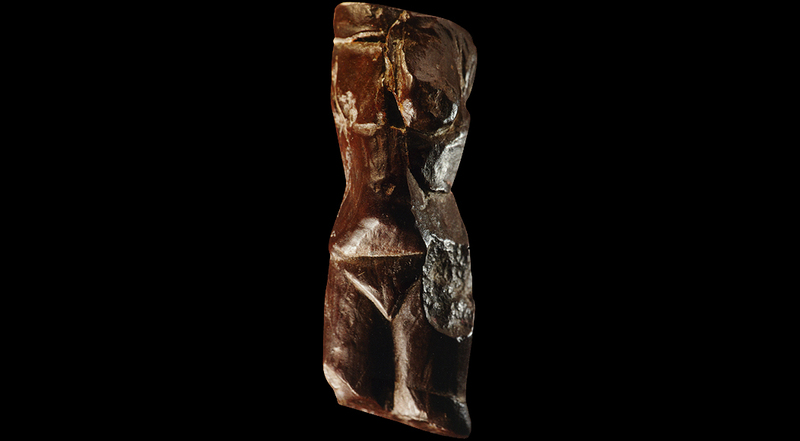 The slim figure with hour glass shape has a slightly prominent stomach suggesting the early stages of pregnancy of a prima gravida. The breasts are small and firm and the incised sexual triangle disproportionately large. Open site of Petrkovice, Moravia, Czech Republic. 4.6 cms high; 1.5 cms wide; 1.4 cms thick.